You travel to the Disneyland Resort and you want a pressed coin, but you cannot for the life of you find a pressed coin machine. 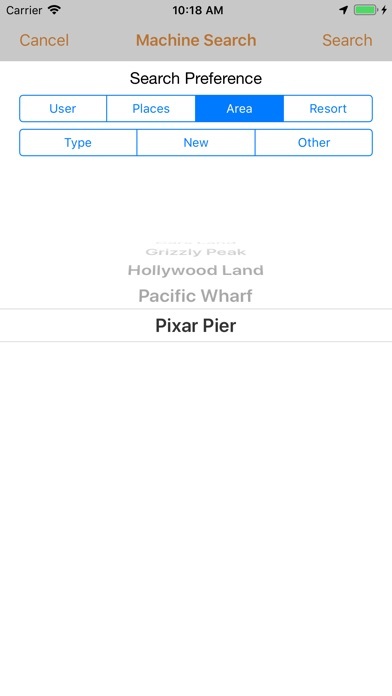 Well, those days are over with the Pressed Coins 4 DLR app! Search for pressed coin machines throughout the Disneyland Resort! 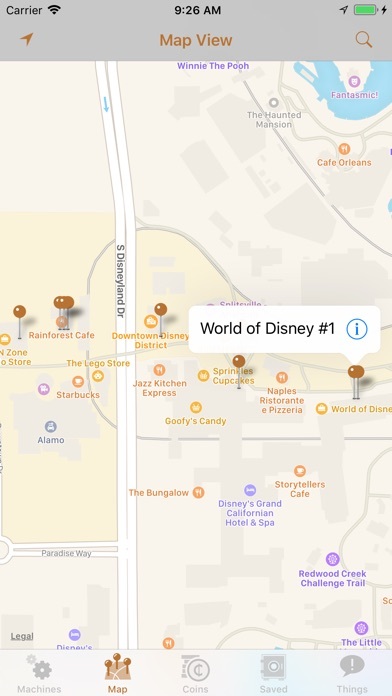 The advanced machine search feature allows you to search by User Location, Places, Area, Resort and Type. The ‘Other’ category is currently unused. There are two major views for your machine searching pleasure: 1. A list view, listing coin machines matching your search criteria. Touch on the machine and machine details are displayed, including Coins. Tap on a coin view and go into the Coin Details view, displaying details about the particular coin. 2. A map view, which shows annotations at the locations of machines matching your search criteria. 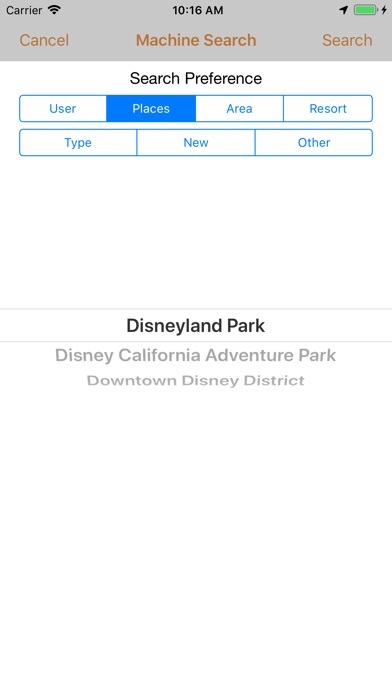 Tap on the annotation text to show machine details as with the list view. You can also search for coins by Title, Collection and Description. Example, you want to find all coins with the word ‘Santa’ in the title. Just search for ‘santa’ in Title and the available coins will be shown to you. Tap on a particular coin to be shown the machine which has that coin. An iCloud account is required in order to save coin information. An iCloud account is not required for viewing machine and coin information. 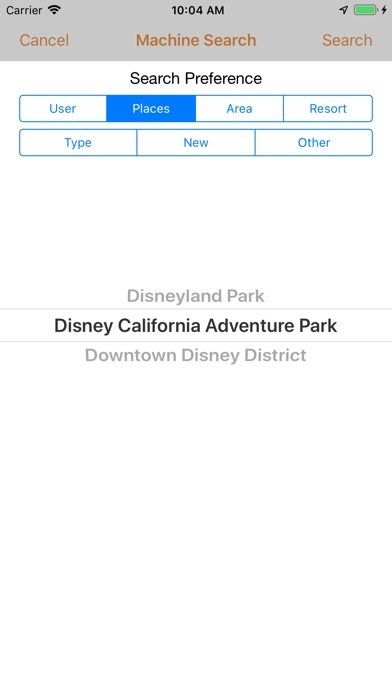 Besides every coin machine at the Disneyland Resort, other coin machine locations include California Adventure Park and Downtown D. If you have any issues with the app, please contact us. We want to know if there are coin machines out of service as quickly as possible. We cannot guarantee the accuracy of the data completely as things may change suddenly. We will periodically check the machine and coin data and amend our records accordingly, but you can also help out by informing us when things are different. If you find any problem with the user interface (UI) specifically, email CodeSpyder and include a screenshot of what you are seeing. Thanks! 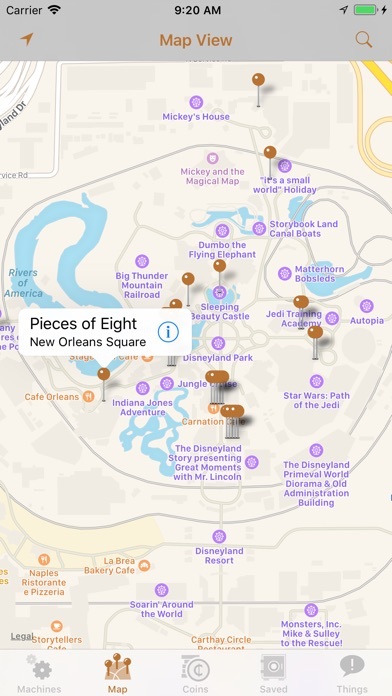 Look for our companion app, 'Pressed Coins 4 WDW'! Follow @CodeSpyder on Twitter! Please join Chris Johnson at the ‘Disney Coin Pressers’ group on Facebook! 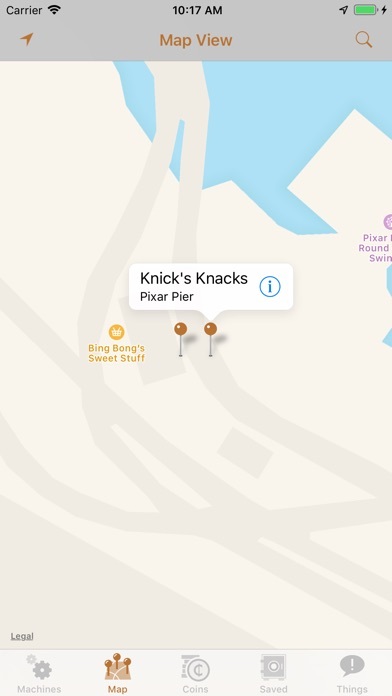 This app is not affiliated with the Disney Company or any of its subsidiaries. Needs a ton of work!! 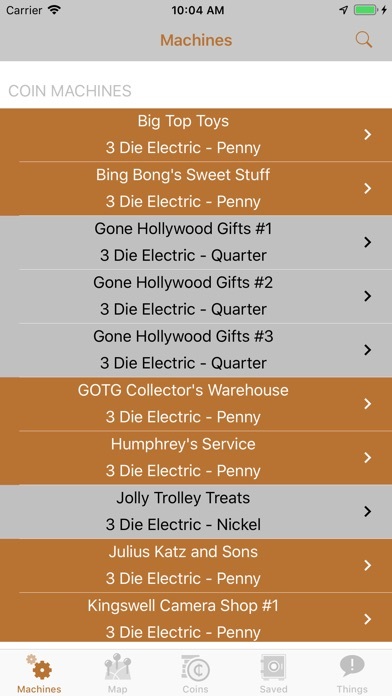 I was hoping this app would serve the purpose of finding the coin machines and more importantly, to show your collection of coins received. This does neither. Not user friendly and seems unfinished. Don't waste your money!